Baron Fig is on fire at the moment! They have been releasing new product after new product non-stop for the past couple months. While I stand in awe and drool at everything they put out, I struggle to catch up with reviews on some of their latest and greatest. One of the newest releases is this: the Baron Fig Squire in solid stainless steel. My thanks to Baron Fig for sending one over for me to have a look at! 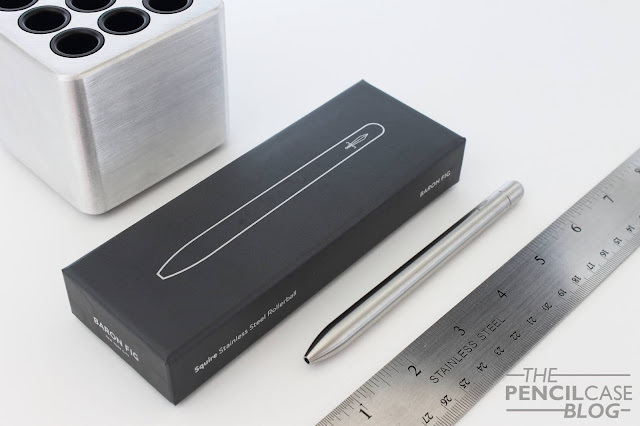 A new rectangular box design for the stainless steel Squire, is this the end of the cool tubes? Remember the Lock & Key special edition? I jumped on that faster than fast, and I have been totally in love with the brass Squire ever since. The Squire is a great design on itself, but the hefty brass construction puts it at the top of my list. It has developed a subtle but beautiful patina over time, which is one of the many things I love about brass. I also like how it makes your hands smell like pennies. But I'm weird, and I know a lot of people don't share my love for smelly metal pens. Stainless steel is a valid alternative if you don't like brass for its smell. It has a similar solid weight to it, but it obviously lacks the smell. It also lacks the patina. Instead of the warm gold color of brass, it has a cold, industrial-looking silvery color. It's a different version altogether, but it has its charm. The design of the squire has of course remained the same. It's still that subtle teardrop-shaped pen, that I very much enjoy. 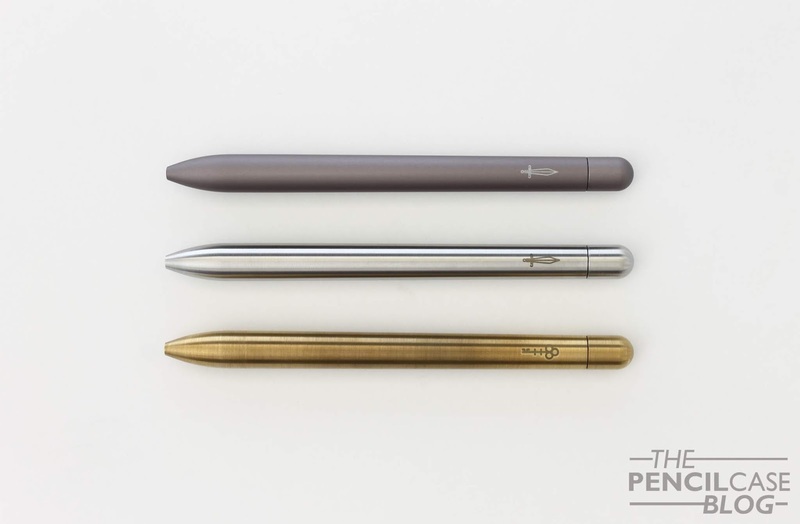 It's a seriously good-looking minimal pen. 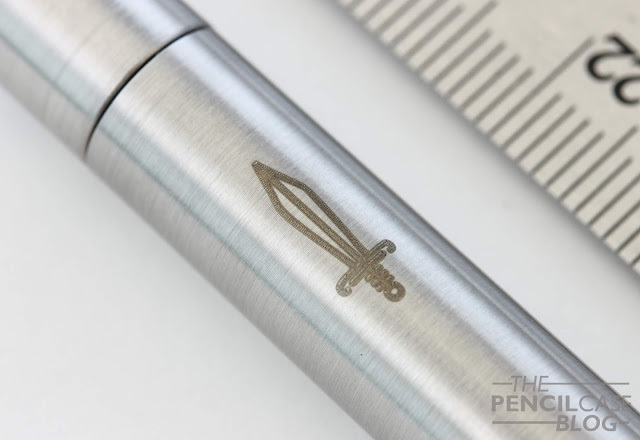 Since the stainless steel is a standard edition, it features the same sword logo engraved on the barrel as the aluminium version, compared to the key on the special edition brass 'Key'. The surface of the stainless steel is polished, but if you look close you can still see a slight brushed finish. It's worth noting that, just like the brass Squire, this polished metal finish doesn't really offer the best grip. 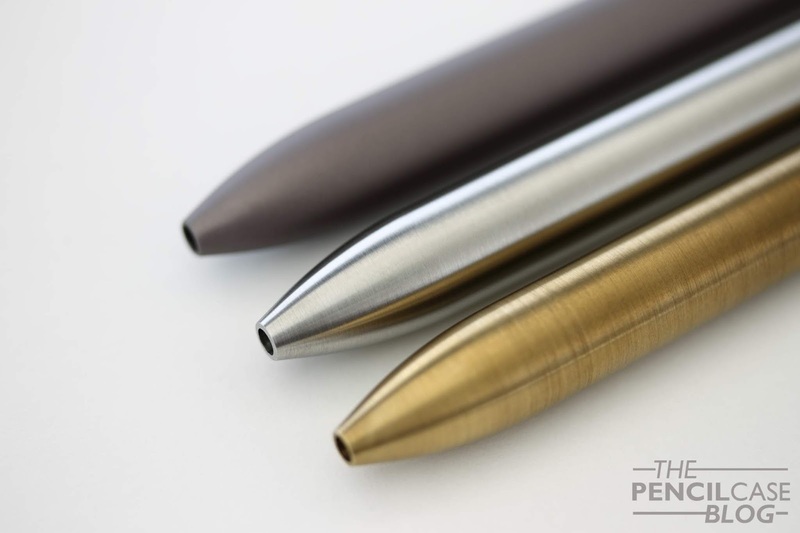 If you're worried about that, the anodized aluminium pens provide a bit of texture that offers slightly more grip. 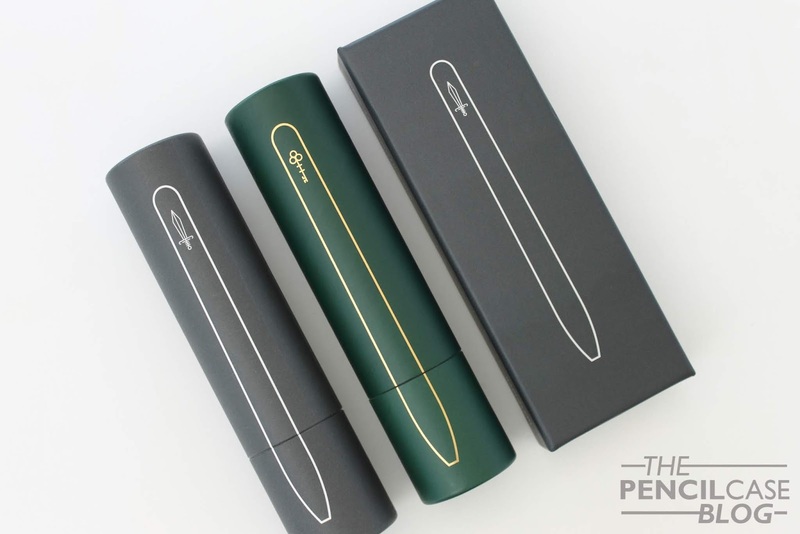 Putting the three squires side to side, I noticed that Baron Fig seems to have dealt with the gap issue between the barrel and the twist mechanism (check out my original review where I discussed this issue). I fixed it on the aluminium squire, but both the brass and stainless steel pens didn't have this issue out of the box. With this problem seemingly fixed, they got rid of the only real gripe I had with the squire when it originally launched. So attention to detail and the overall fit and finish is definitely on point. 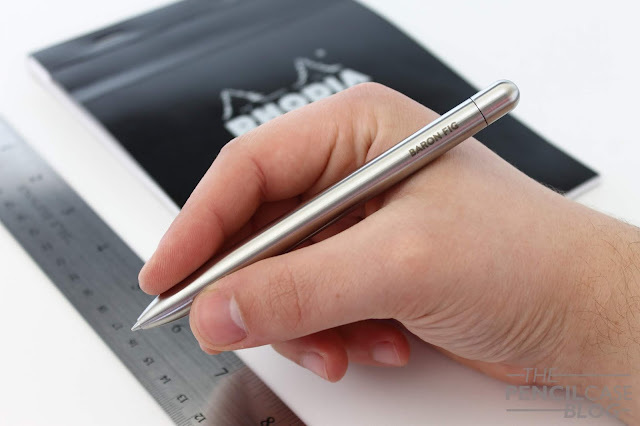 The Squire is a relatively compact clipless pen, yet in the hand it's perfectly sized. With a length of 12.5 cm (5"), and a girth of 1 cm (0.4"), it perfectly hits that sweet spot for me. The shape makes it a very comfortable pen to hold. Weight is of course the biggest differentiator between the different metals. At 48g (1.7oz), it's effectively twice as heavy as the aluminium Squire. The difference between the brass 'Key' is just 3g heavier than the stainless steel, which is a negligible difference. For such a small pen, you'll be surprised by how hefty it is when you first pick it up, yet I personally think it's not too heavy (your mileage may of course vary if you are used to light pens). Maybe you'll notice that there is no written review at the bottom of this post. 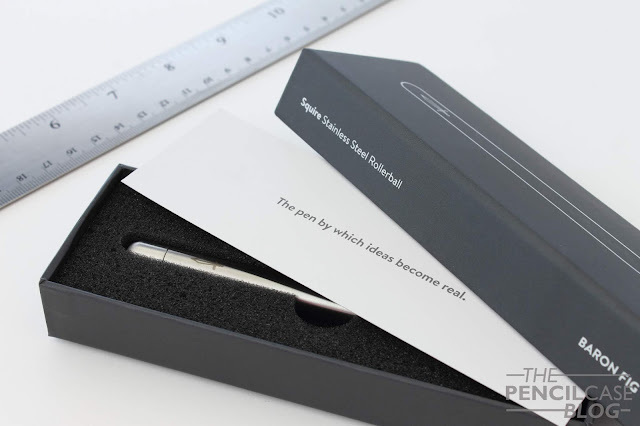 That's because the Squire Stainless Steel comes with a rollerball refill that I reviewed plenty of times before: The Schmidt P8126 (you can read about it in my original review of the Squire). It's a smooth refill that lays down a nice consistentl, deep black line. If one thing, I wish it wouldn't have the tendency to bleed on cheaper paper. But all in all I think it's an enjoyable refill to use. The Baron Fig Squire stainless steel retails for 85$, which is a considerable step up from the aluminium version (55$). 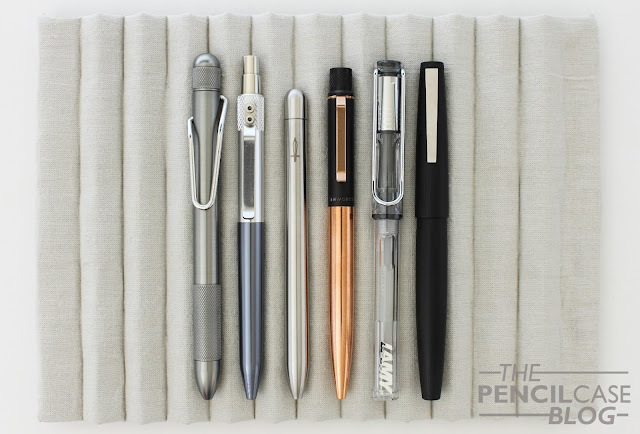 But it's in line with comparable pens from other brands, and I think it's a rather fair price for what you get. If you like a more substantial pen, it's definitely worth considering. 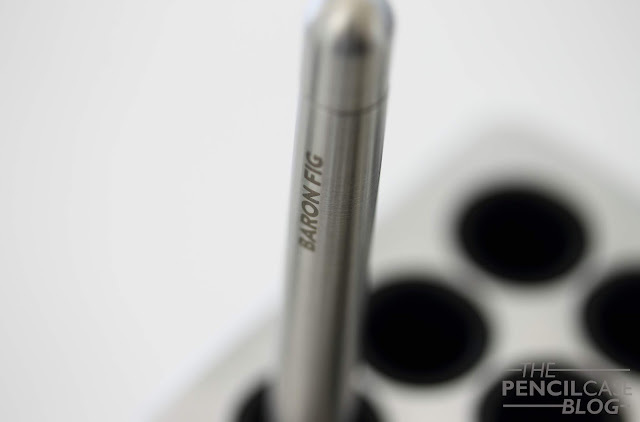 This product was sent to me by Baron Fig, so I could write this review. I was in no way influenced in the making of this review, the opinions shared in this review are completely my own! This post does not contain affiliate links. You mention you fixed the gap on your original Squire. I have two with the same issue. How did you fix it?